Popular Profiles – Available in the high torque, low noise STS profile, the widely used HT curvilinear profile and the traditional Trapezoidal profile. Non-Slip, Positive Performance — Belt-pulley compatibility and close manufacturing tolerances assure those belt teeth mesh precisely with pulley grooves for constant output speed without skipping, vibration or speed variation. Extremely energy efficient - Studies by the US Department of Energy have found that synchronous belt drives are over 99% energy efficient, leading to lower operating costs. 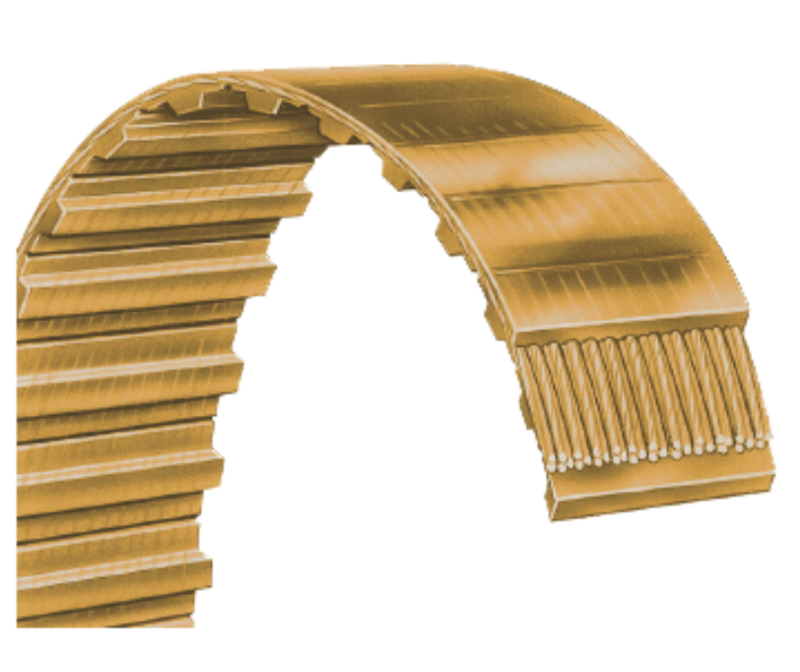 Low Maintenance/Economical Operation — Because timing belts do not require re-tensioning and, unlike gears or chain, require no lubrication, they are ideal for applications where maintenance is difficult and downtime is costly. 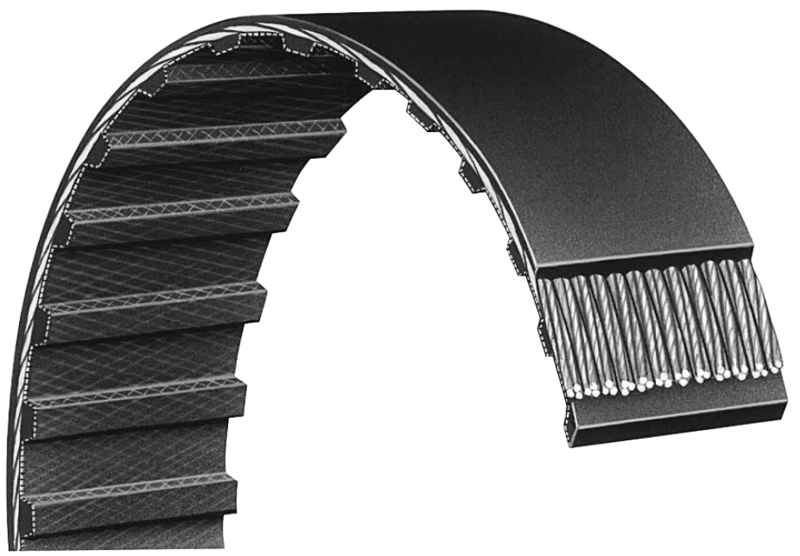 Low Tension Requirements — The “tooth grip” principle of timing belts does not require high tension, so bearing loads are minimized, resulting in longer bearing and motor life. 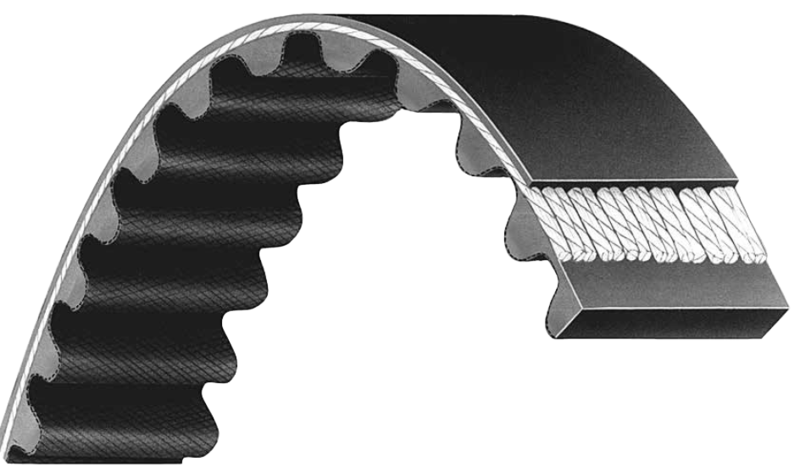 Wide Range of Load Capacities and Speeds — Design versatility makes timing belts the right choice for a variety of applications. Speeds can range from 1 to over 10,000 RPM; load carrying capacity can vary from fractional to hundreds of horsepower. Space and Weight Savings — Drives are compact because pulleys are small and center distances are short. Per horsepower transmitted, timing belts weigh only a fraction of alternative methods. Clean, Quiet Operation — Noise and vibration are kept to a minimum. A clean operation is ideal for contamination sensitive machines. Due to its high power transmission capabilities, quiet, smooth running tooth meshing qualities, energy efficiency, and reliability, the STS tooth profile is widely recognized by automotive design engineers as the preferred belt for overhead cam applications in most late model cars and trucks. 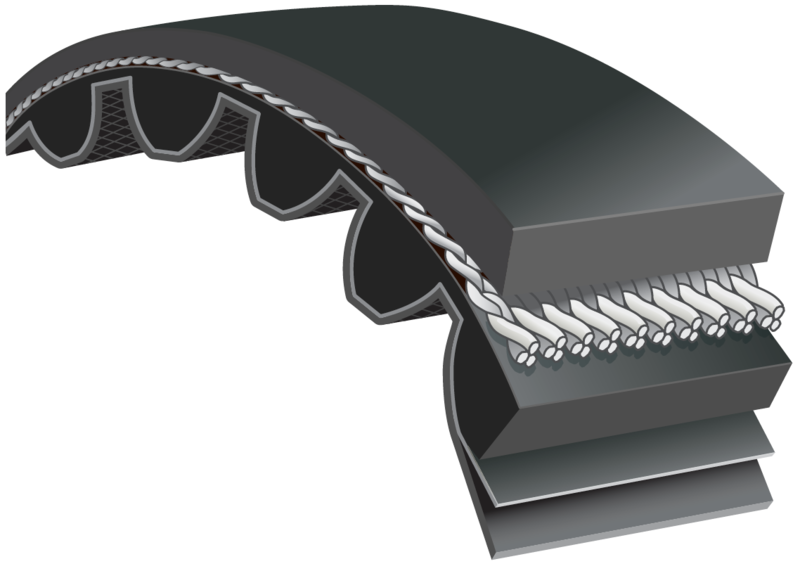 These same qualities make this generation of synchronous belts ideal for today’s high performance industrial applications. 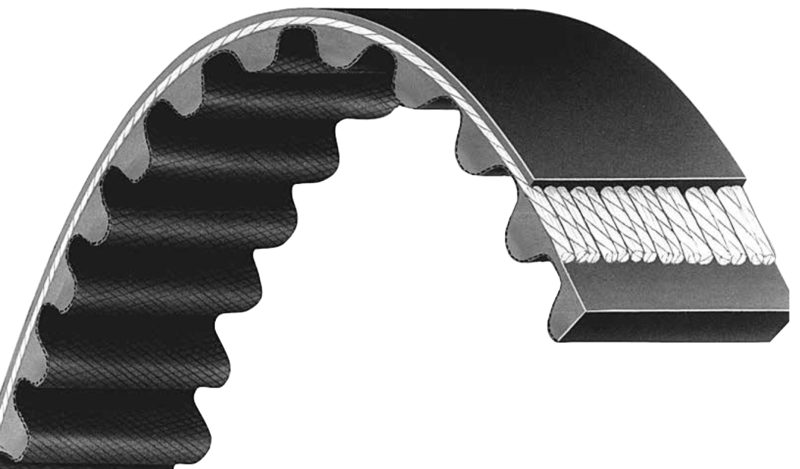 As the tooth meshes with the pulley groove, the cord lay forms an almost true circle, minimizing the cantilever effect on the cords, resulting in reduced bending fatigue and longer service life. 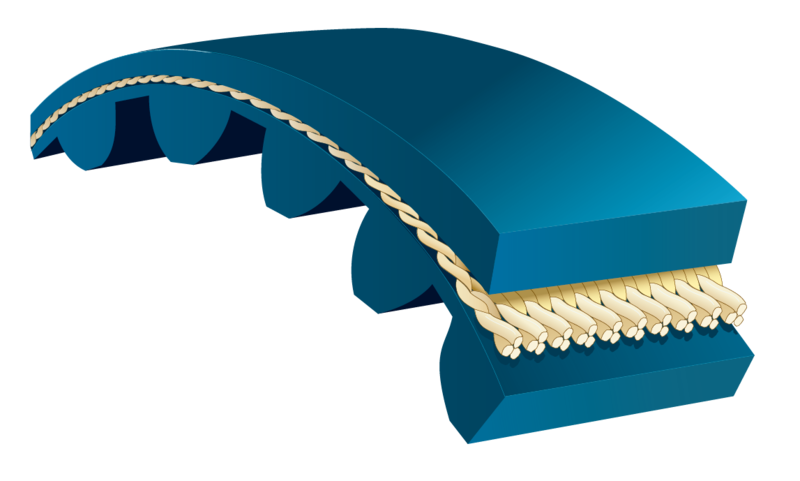 Smooth tooth engagement and direct contact with the belt tooth and the pulley groove enable the belt to run quietly, even at high speeds.